Parking directly at the Beach Amarilidos Beach with fixed sunshades. 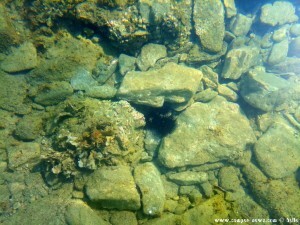 A Beach with Stones and you have to use Bathing-Shoes, cause there are a lot of sea urchin inside! The Water is very clear – wonderful! WC-Toilet here – it will be cleaned every day. 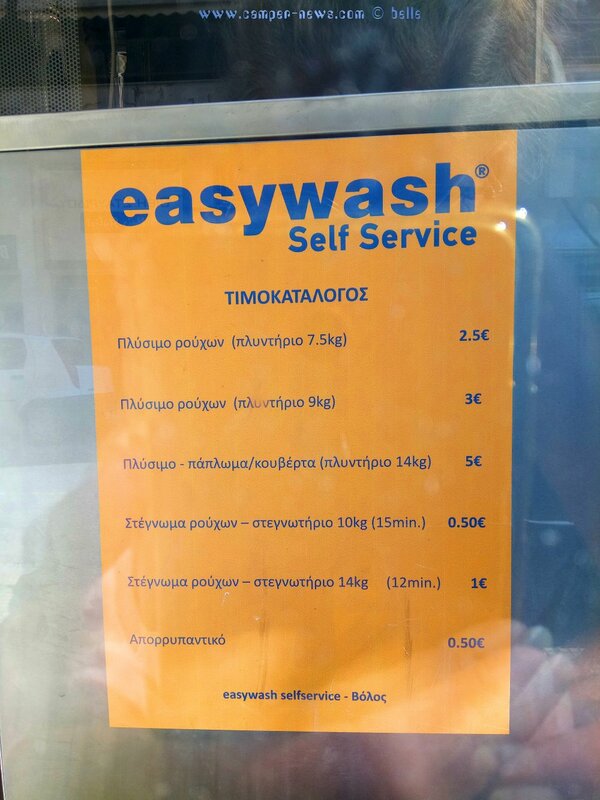 Shops you will find in Vólos all what you need. This Articel was read 275 times! 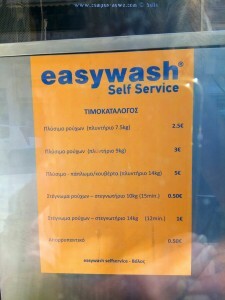 Dieser Beitrag wurde in Countries, Free Camping - Wild Camping, Fresh Water, GPS, Greece, Travel-Facts, WC-Cassette veröffentlicht und mit Amarilidos Beach, Beach with Stones, CampingCar, Coast, Easy Wash Vólos – Greece, easywash Self Service, Free-Camping, Freistehen mit dem Wohnmobil in Griechenland, Fresh Water, Grecia, Greece, Griechenland, Küste, Magnisia, Mediterranean Coast, Meer, Mittelmeer, Motorhome, Parking at Amarilidos Beach - Unnamed Road - Soros - Volos 383 34 – Greece – August 2018, Reise, Reisebericht, Reiseberichte, Reiseblog, Reisen, Reisen im Wohnmobil, Reisen im Womo, Reisen in Spanien, Reisen in Spanien mit dem Wohnmobil, Reisen mit dem WoMo in Spanien, Salzwasser, Sand, sea urchin, Sea urchin at the Amarilidos Beach – Greece, Shower, Sonne, Soros, Strand, Thessaly, Travel, Travel in Greece, Travel with a Camping Car, Travel with a CampingCar, Travel with the Camping Car in Greece, Travel with the CampingCar in Greece, Travel with the Motorhome, Travel with the MotorHome in Greece, Travelblog, Travelbook, Unser Camper, Volos, Water, WC-Cassette, Wild-Camping getaggt. ...geht doch! Emma & Nicol nahe Águilas – Spain 9097km in Marokko Castelldefels Das Ziel unserer Begierde? Dezember 2014 Djemaa el Fna Marrakech Ein Boot am Metamorfosi Beach – Greece Igoumenitsa Nicol On Guard am Selfmadegrill a la Baffo - Metamorfosi Beach – Greece noch am zweiten Praia das Pedras Negras nur eine Stunde am Strand Parking at Agua Amarga Playa Praia de Ancoradouro Ria de Muros e Noia seit 46 Tagen rauchfrei! seit 1100 Tagen Leben im Camper seit 1247 Tagen Leben im Camper seit 1295 Tagen Leben im Camper Strand für Kinder nicht unbedenklich Südfrankreich Tauchstation Taxistand Trend was gut ist wird kopiert …wieder ohne Lunch!